Lidstone - Commercial Finishing. Commitment to quality is at the forefront of everything that J H Lidstone do, and has been since the firm began over forty years ago. Commitment to quality is at the forefront of everything that J H Lidstone do, and has been since the firm began over forty years ago. The firm jealously guards that reputation for providing a high quality service, and meticulously plans to maintain their high standards in every project they undertake. That commitment to absolute excellence starts with recruitment. 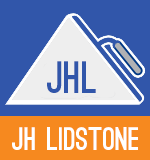 J H Lidstone still run their own apprenticeships, the only way they see to ensure class-leading standards are maintained now and in the future. The company's Contract Managers constantly assess the quality of the work done by the staff, but the experience and commitment of the dedicated Lidstone craftsmen means that remedial action is rarely necessary. As Company Director Damian Lidstone says, "We are confident in the work standards of all our staff. We recruit, train and maintain the best tradesmen there are - If they don't cut it with quality, they don't stay - it's that simple".